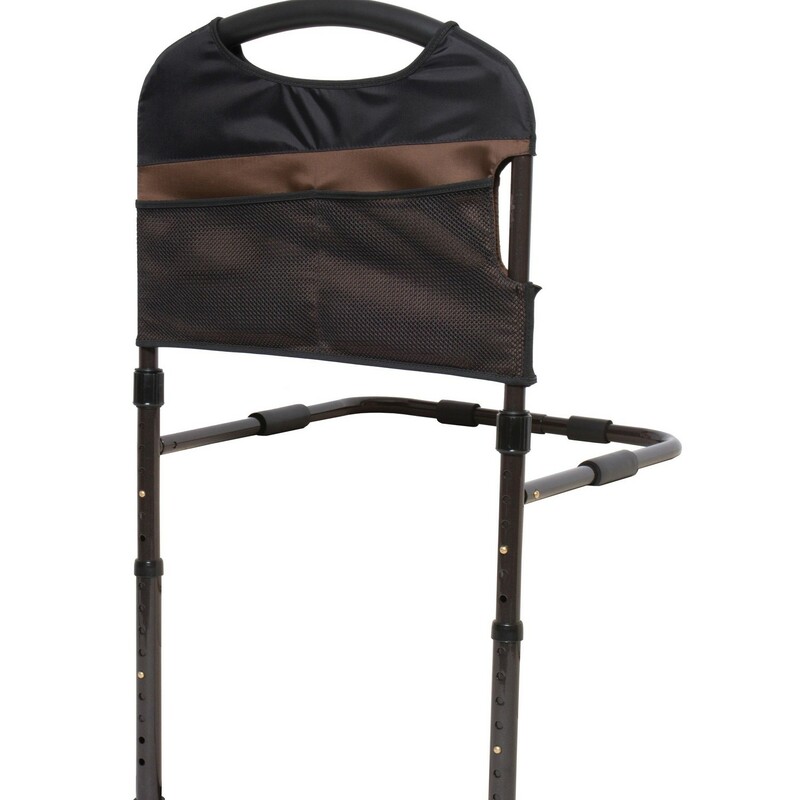 Extendable Legs - Provides added stability when standing up. Ergonomic Cushion Handle - Allows for easy transfer in and out of bed. 4-Pocket Organizer Pouch - Provides storage space for handy items. Designed to accommodate both in-home and hospital beds, the Stable Bed Rail from Stander keeps you in bed when needed and assists you out of bed when it's time to arise. 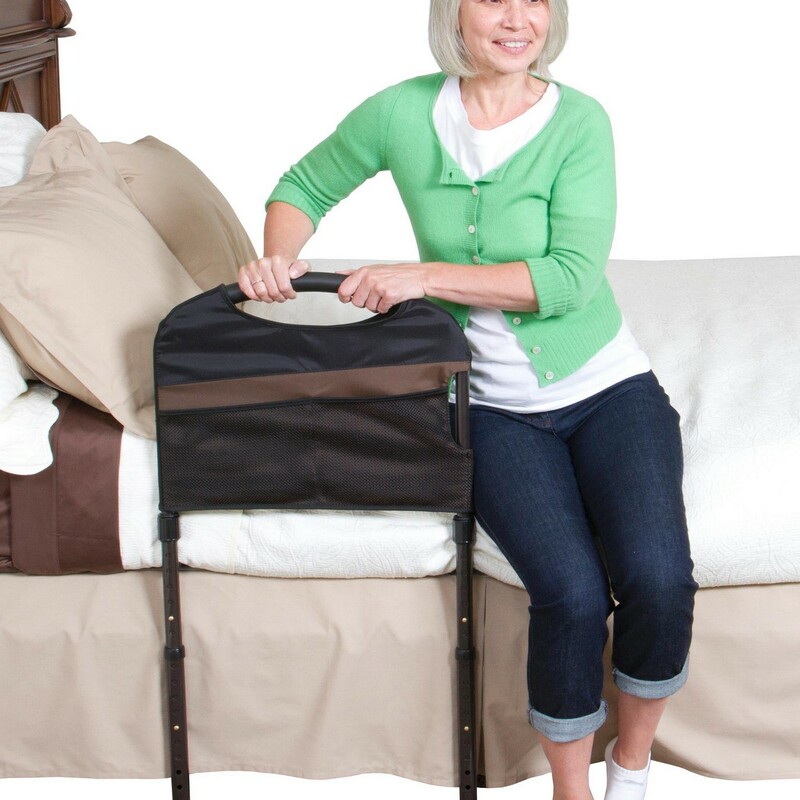 The two non-slip legs plant firmly on the floor for extra stability and support when getting out of bed. 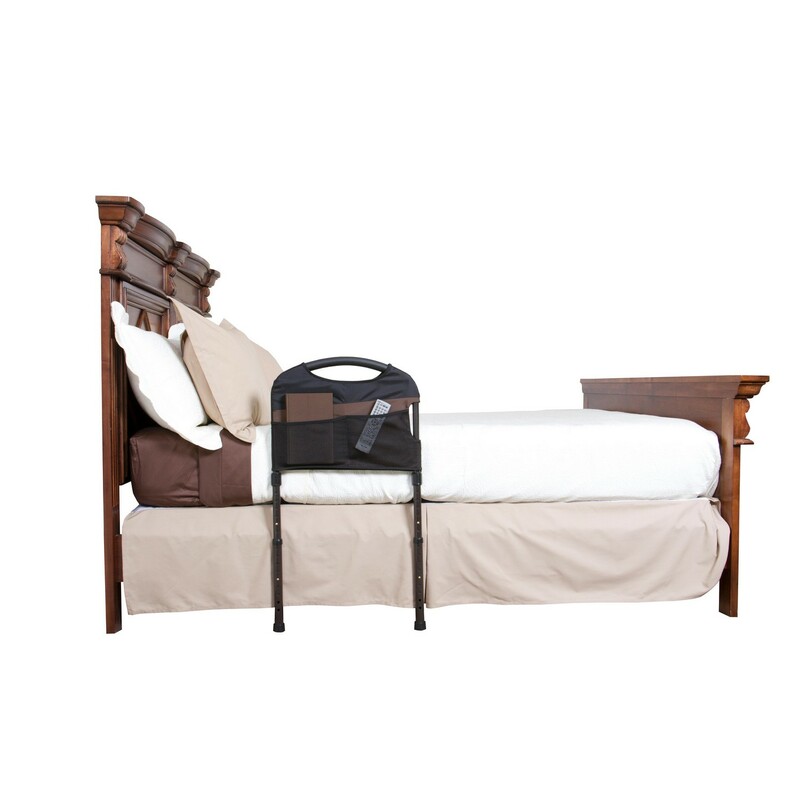 Setup and adjustment do not require any tools so the Stable Bed Rail can be easily customized to meet your needs. Four pockets are sewn into the cover of the Stable Bed Rail to maximize storage space. Anti-slip grips - Secures rail in-between mattress and bed frame.